Before he was Errol Flynn, the Prince of Mulholland and one of the most beloved stars of Hollywood’s Golden Age, he was Flynn, the treasure hunter and adventurer. Production has begun on the Gold Coast for Errol Flynn’s upcoming biopic, In Like Flynn. Director Russell Mulcahy (‘Teen Wolf’, ‘Resident Evil: Extinction’) wants to “…bring to the screen…Flynn’s unapologetic and uninhibited desire to experience a full adventurous and spectacular life…”. 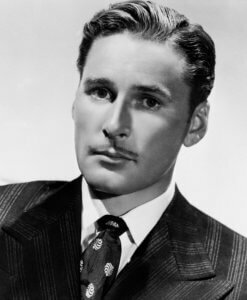 The film is set in 1930, and follows the early years of actor Errol Flynn. While serving as a guide for a Hollywood producer in Papua New Guinea, Flynn discovers a map on a dead prospector that he believes will lead to treasure and gold. After returning to Sydney, Flynn rounds up a ragtag crew, including Rex, a Canadian ex-bootlegger, Dook, an English gentleman, and Charlie, a grizzled old salt. The team steal the Sirocco, a yacht belonging to Chinese opium smugglers, and set sail in search of a fortune. Along the perilous journey up the Australian coastline, they run foul of drunken cowboys, corrupt cops, local thugs, and Chinese pirates hell bent on retrieving the Sirocco and the several pounds of opium stashed in its hold. In their last dash to Papua New Guinea, Flynn must discover what it means to be a real captain, and a mast of his own destiny. 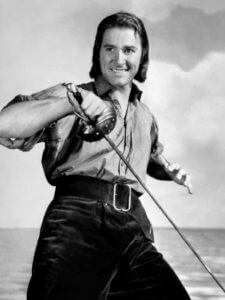 Errol Flynn, an Australian-born actor who achieved great success after he moved to Hollywood in the mid 1930’s, was best-known for his swashbuckling and womanizing roles in films such as The Adventures of Robin Hood (1938), Captain Blood (1935), The Sea Hawk (1940). 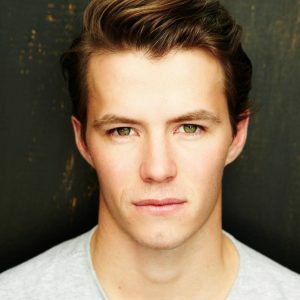 Thomas Cocquerel (‘Kidnapping Mr. Heineken’, ‘Red Dog: True Blue’) has been cast as a young Errol Flynn, and the film will also star Corey Large (‘It Follows’), William Moseley (‘Chronicales of Narnia’, ‘The Little Mermaid’), Clive Standen (‘Vikings’), Callan Mulvey (‘Batman vs Superman’, ‘300’), Isabel Lucas (Transformers: Revenge of the Fallen’), David Wenham (‘Iron Fist’, ‘Lord of the Rings’) and Dan Fogler (‘Fantastic Beasts and Where to Find Them’). In Like Flynn is set to be a mythical and satirical coming-of-age story about four men on a journey to find hope, adventure and fortune in an age when the world was spiralling into despair. According to producer James M. Vernon (‘Hacksaw Ridge’), the film will be a “…gritty, fast-paced and inspirational…” tale of friendship, ego and pursuit of something bigger than yourself. In Like Flynn is expected to be released in 2018.